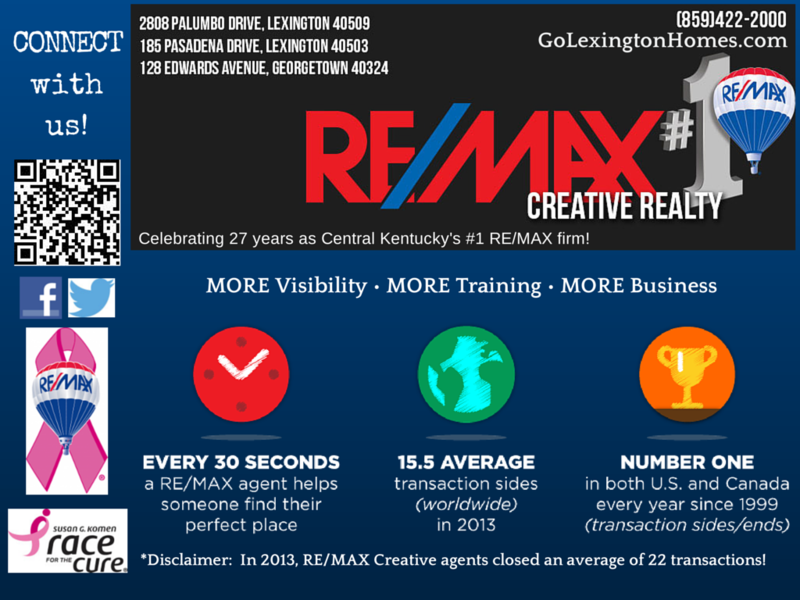 According to their website, "TOPS Magazine [is] ranked as the #1 read magazine in Central Kentucky, [with] over 30,000 readers, and [distribution] primarily around Lexington." 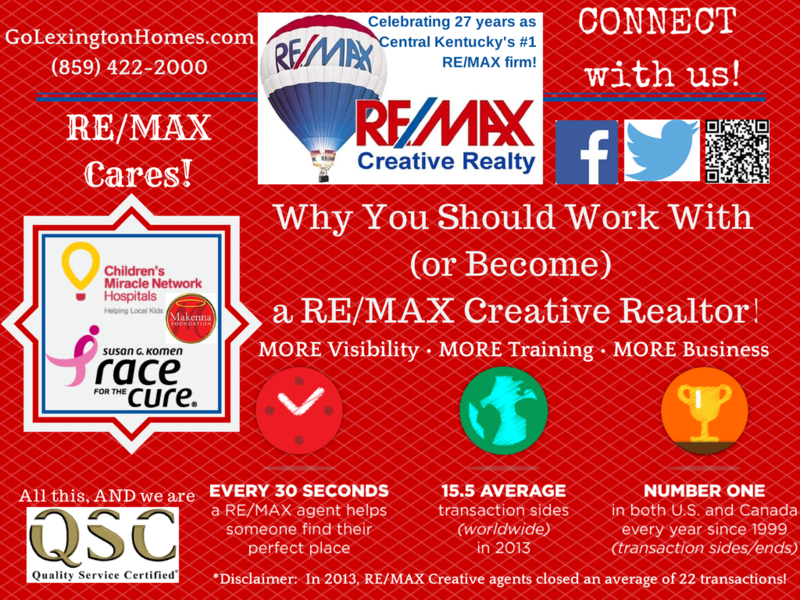 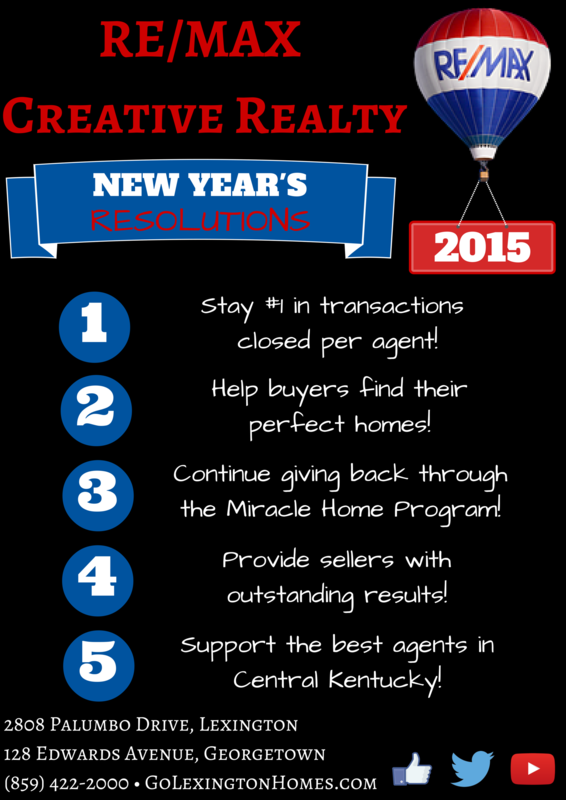 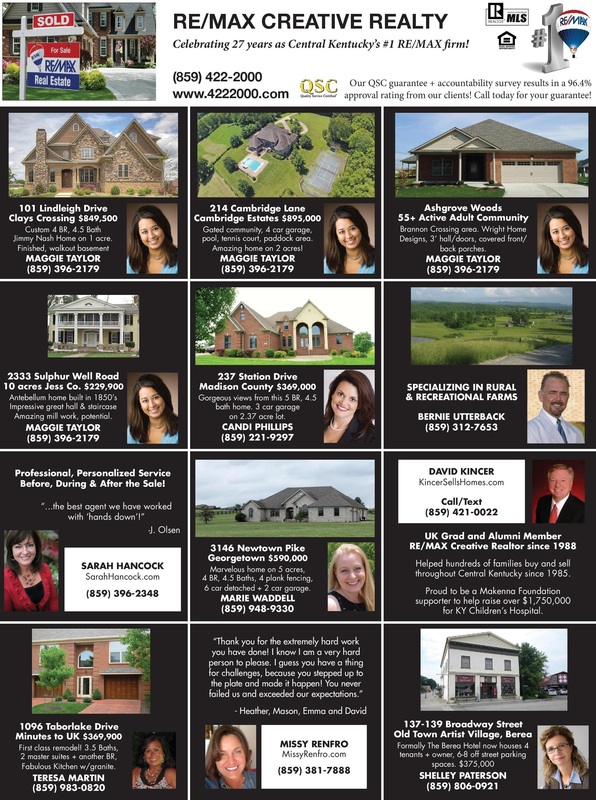 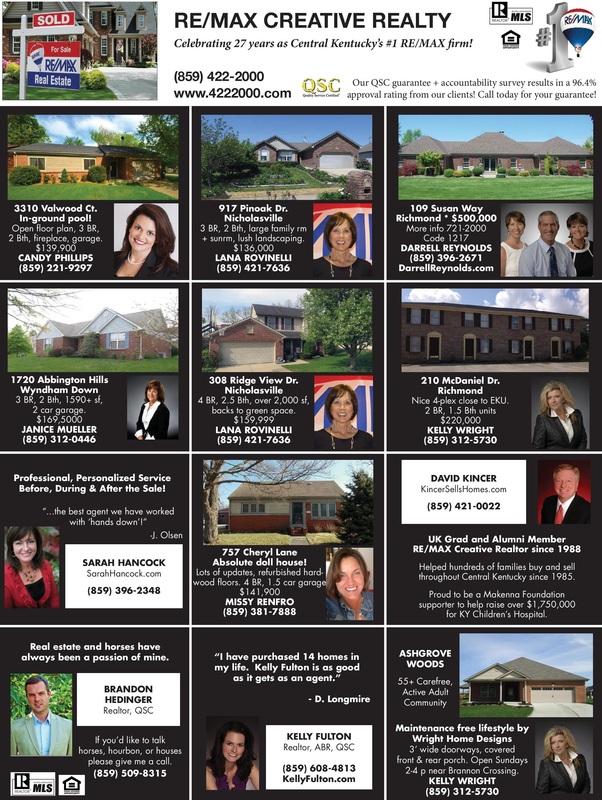 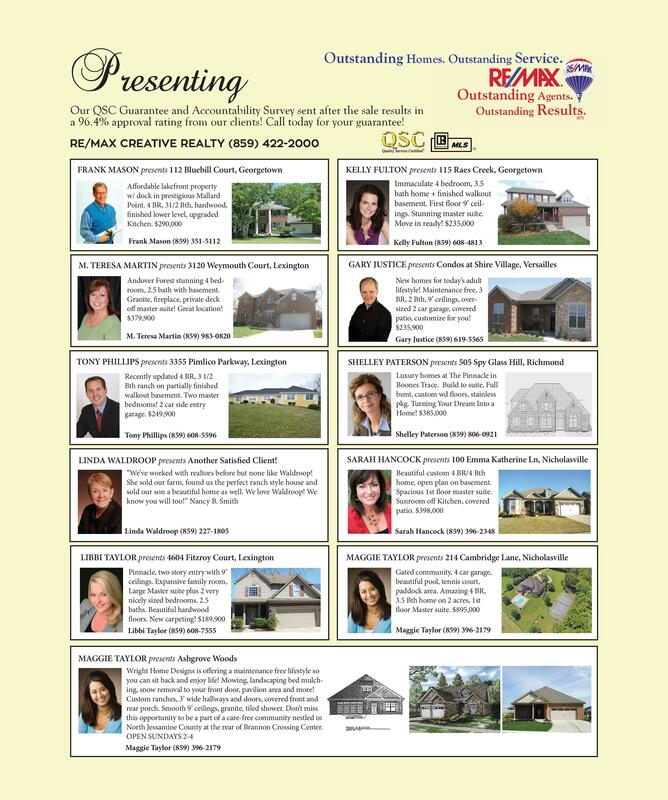 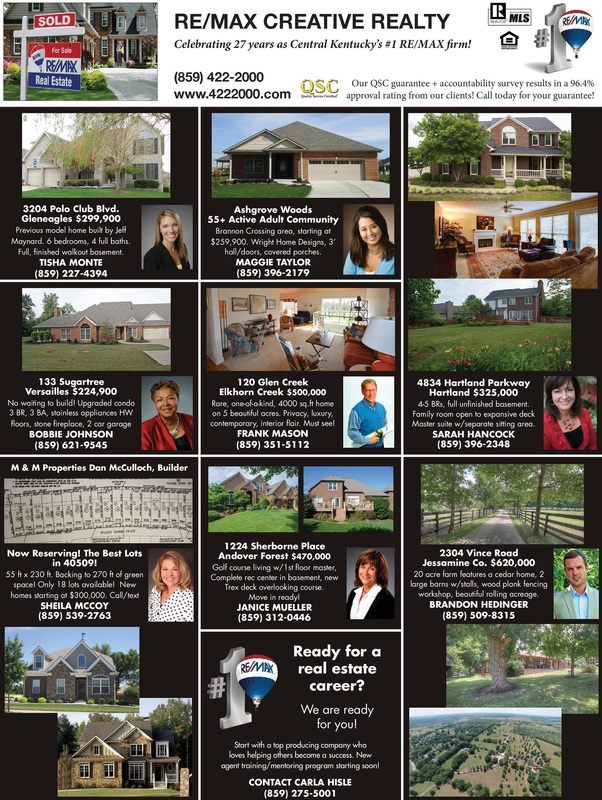 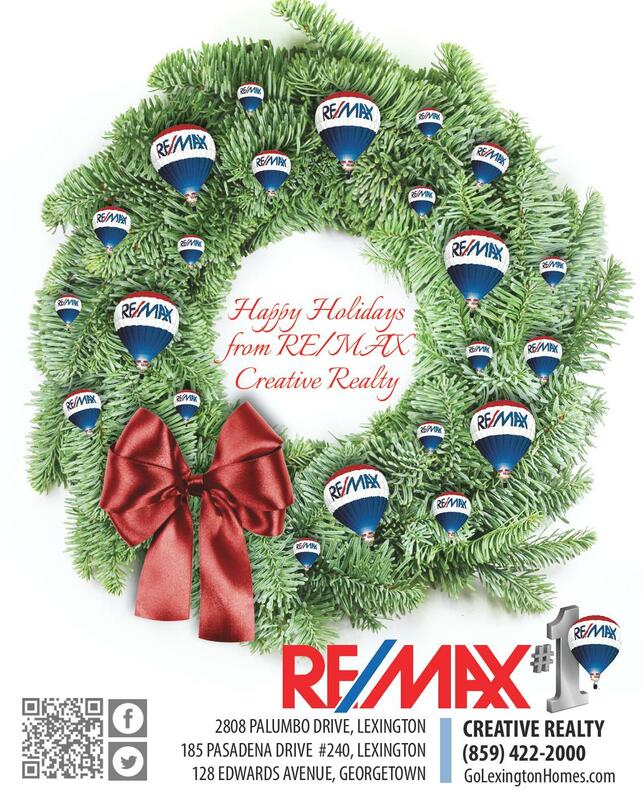 Why does RE/MAX Creative Realty choose to advertise in TOPS in Lexington magazine? 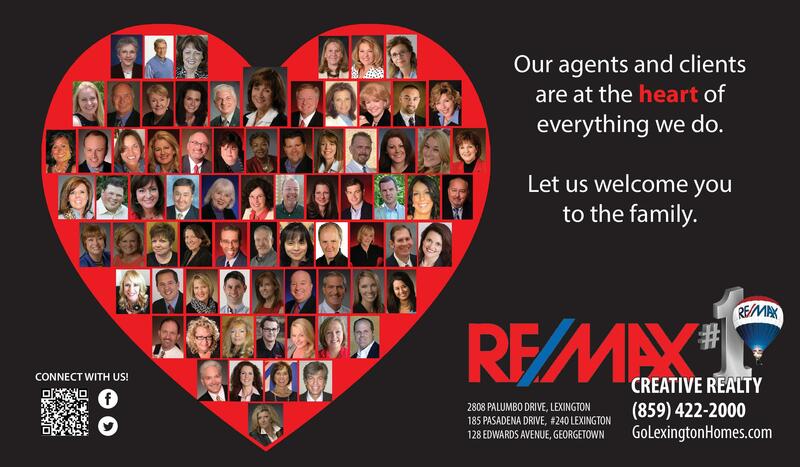 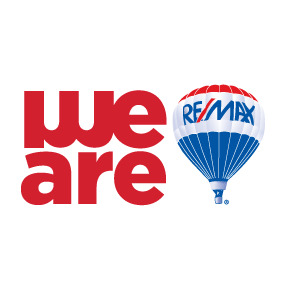 Because our agents are Above the Crowd® in every way, and they work hard for you!